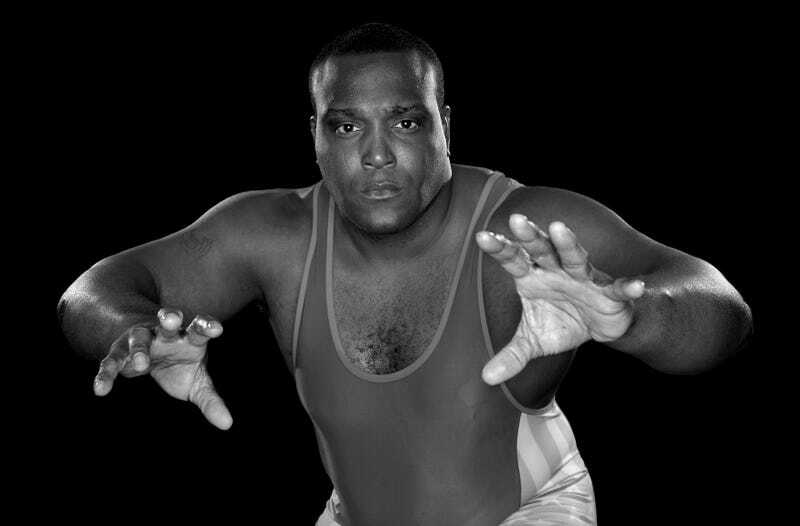 Dremiel Byers, a two-time Olympian and 10-time U.S. Nationals champion in wrestling, was charged with "suspicion of hunting out of season and illegal possession of wildlife" in Colorado Springs Thursday evening. Byers, a Greco-Roman wrestler on the national team, was apparently bow hunting in Colorado Springs when his prey brought him to a pretty public spot: the parking lot of a local Lexus dealership. Police were called to the Lexus dealership at 6:52 p.m. Thursday after bystanders reported seeing a man trying to shoot a deer with a bow and arrow, according to the Colorado Springs Police Department's online blotter. Police called wildlife officials, who helped locate a wounded buck. The buck's injuries were severe, and he was euthanized, Robbins said. Byers is a pretty big dude—he is listed at 6' 2" and placed ninth in the 120 kg (264.5 lbs) weight class at the London Olympics in 2012—and I would love to hear the calls to police from luxury car customers who randomly saw some burly wrestler stalking a deer with a bow and arrow in a public area. He's also won multiple awards in both wrestling and his military career with the U.S. Army. A USA wrestling spokesman said he was shocked to hear of the charges. Byers is potentially looking at a fine and loss of hunting privileges.